It’s no doubt that we are incredibly grateful to have our sweet Addie home. It’s been over a month now and I honestly still can’t believe it some days. 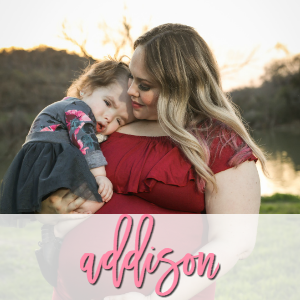 We spent 10 months total in the NICU and PICU (minus a few days) with doctors telling us many times they didn’t know if Addie would “make it” or be able to live a fulfilled life outside of the hospital. I don’t know about you, but I draw my strength from my family, and I’m stubborn. If someone tells me I can’t do something, I go out and do it…especially when it comes to Addie. Now that we’ve proved doctors wrong, I’m on a mission to make sure Addie has the very best days at home. My days start with Addie at 7 am and end at midnight, despite having a night nurse. It’s tiring but SO rewarding, and I wouldn’t have it any other way. Our days start out with the nurse and I moving Addie to the living room. She loves to lay on the couch while I sit next to her and snuggle. Then, I move her to the floor for playtime while I draw up her many medicines, do her trach and g-button care, dress her up, and give her freshly pumped milk. Y’all know I’m an exclusive pumper, but did you know Good Start® Gentle has certified Lactation Consultants that can help you if you have questions about breastfeeding? As a pumping mama, I think that’s an awesome resource. In any case, Addie drinks her “baba”, I talk to her, and we have a wonderful time! After her bottle, we have lots of fun playing on the floor with her Fisher Price Kick and Play Mat and her Dr. Browns Gia pillow. We practice lots of Occupational Therapy techniques to help Addie grasp, pull her neck up to sit, tummy time to strengthen her neck muscles, and weight bear on her arms. It’s a lot of work but it’s such a wonderful feeling when she learns what we’ve been teaching her after only a few times. Usually Addie’s work outs tire her out and she takes a nap in her 4 Moms Breeze Pack and Play. We love it! While she naps, I really work hard to clean up the kitchen from my mess of syringes and bottles, pick up her living room toys, do laundry, make or reschedule appointments, or pump again. If I’m lucky, I’ll even get time to blog for a few minutes! Then, it’s time for her Occupational Therapist to come and work with her. It’s an hour of playing and hard work but somebody’s got to do it! I help along while they work with her so I can learn techniques to practice with her during the week. After pumping again, it’s time to wake Addie up. She gets her breathing treatment and CPT (that’s where I pat her chest to loosen up any mucus in her lungs), and she eats again. Addie loves eating baby food with her lunch time bottle, and I just crack up when it gets all over her face. We play again and usually sing and dance! Sometimes, if it’s not too hot, I take Addie outside on the back porch to play in her baby pool or make a little picnic. Around this time we usually have company join us for an hour or so (depending on the day) and we play some more. Addie practices standing in her Bright Starts Sweet Safari exersaucer and also plays in her Snugabug swing. Her therapist wants her to practice being in her swing to feel more movement, sit up more, and become aware of the world around her more! We have fun whether we’re alone or with friends during this time! We wear ourselves out playing and then it’s time for another bottle, more medicine, and then bath time! I usually wait for Mathew to come home for bath time if I’m trying to make dinner before he gets home, but if he’s lucky and dinner is something in the crock pot or oven, I haul Addie’s huge oxygen concentrator, ventilator, and pulse oximeter to the bathroom (while I’m holding her) and put her in her 4Moms tub. She loves it! We love to play with our Nuby bath toys and make bubbles with our bath wash to make bath time extra fun. After bathing Addie, we have to do trach and g-button care. Trach care consists of cleaning her trach area, drying it, and having one person hold her trach completely by itself in her neck (without letting go) while the other person dries her neck and puts on new trach ties. It can be very scary if Addie gets upset and cries because she likes to hold her breath. When that happens, we have to be incredibly careful not to lose the trach, but be fast enough to finish up quickly so we can calm her down. Trachs are serious things and letting go of the trach could result in an emergent trach change or a call to 911 if her emergency trach were to be unable to get in. Luckily, we know Addie pretty well and know when we should take breaks during her trach care and when to just hurry up and finish. 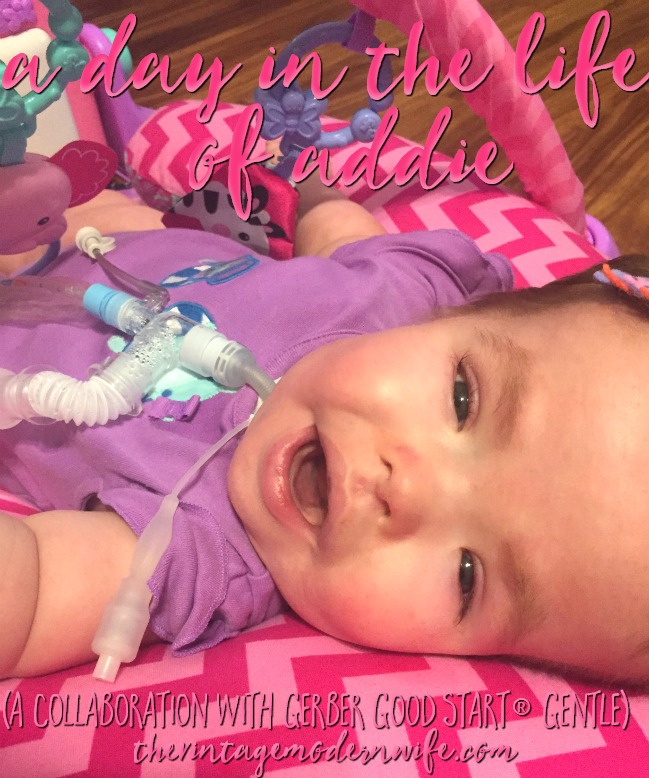 By the time we finish with trach care and getting Addie lotioned up and dressed in pajamas, our nurse arrives and we’re able to eat dinner while Addie gets a breathing treatment. We have to have a night nurse because if Addie’s trach were to come out at night while we were sleeping, Addie could die. Not only that, but if Addie cries, she can hold her breath and her oxygen can go extremely low. Trach babies’ voices can’t be heard, so it’s important to know which alarms to pay attention to in order to best help her. After dinner, it’s our last bottle and story time, then off to bed. Bedtime can be hit or miss. Sometimes, Addie is so tired she knocks out before I can get her adjusted in bed (or even IN bed like the other night when she slept on her lamb mat for several hours. Other nights, it’s torture and the nurses say she will be up until 1 in the morning just wanting to play. 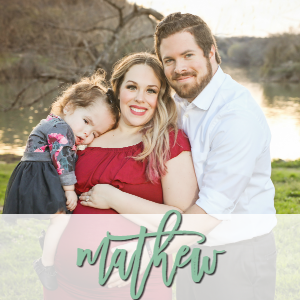 Good sleep for Addie, for your baby, and your family is an essential component of enjoying the journey through motherhood. That journey isn’t always perfect, but getting support every step of the way helps. That is why Gerber® Good Start® Gentle has a Certified Sleep Consultant for your little one’s needs. I try to get Addie to sleep through the night, and we’re getting there, but she’s almost 11 months old and finally getting the hang of it. Addie’s night usually ends here, but not ours. Washing dishes, pumping, showering, and more round out our night at 11:30 or midnight. We have long days at our house (even on tame ones like this) and even longer days when we have appointments out of town at least once a week. Still, I love every single day and every single moment. Addie is my joy and my family contributes greatly to my formula for happiness. We have spent over a month at home and I am over the moon about it. We have developed such a nice routine, and while it still has it’s holes, it’s pretty dang close to being the perfect routine. If you’d like to know more about Gerber and want to make a free appointment with Gerber® Good Start® Gentle’s certified baby sleep consultant or lactation consultant be sure to visit their website! Thank you so much for being so transparent and sharing your journey with us. It’s amazing at what all you do in a day. God knew Addie needed such a awesome mommy and daddy that can handle everything life throws at you. You are in prayers every single day and you are such a inspiration of Gods mercy and love! You are such a example of how God shows us he will never give us more than we can handle. Even though at times it feels like we can’t make it through another day. Addie is so very blessed to have such amazing parents, as well as you and Mathew are blessed to have such a precious little fighter. Sending you lots of love and continued prayers! FOREVER & ALWAYS A #pinkninjaprayerwarrior???????????????????????????????????????????????????????????????????????????????????????????????? My oldest daughter is pregnant and I will absuty be getting her a the info for Gerber® Good Start® Gentle’s,! Thank you for sharing! #pinkninjaprayerwarrior???????????????????????????????????????????????? So glad you’re in a great routine with Miss Addie!! 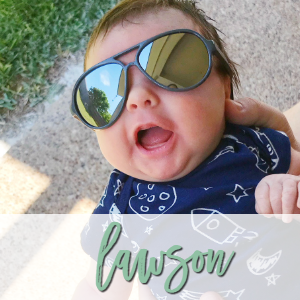 She is just precious and you are a rockstar mommy to her! Enjoy your HOME days! And just curious – is her button used for meds since she’s eating and drinking so well? I just adore that precious baby, and admire you so much. I didn’t realize that y’all were told Addie might not make it or be able to live outside of the hospital. I’m so glad y’all proved them wrong. I think Addie has her Momma’s fight in her. She is such a trooper. I just can’t believe it’s almost been a year! One of these days I want to meet y’all in person and hold that baby! Sharon Hines recently posted…Mrs. Hines’ Class is Celebrating 4 Years! little. The bond between you is visible. In the last chapter of Malachi, the prophet reports that when speak of the good things God has done for us, He calls an angel to get The Book of Remembrance to record our action. You have certainly been recorded countless times just since Addie arrived. Many blessings to you and Mathew as you care for your angel. Prayers from Mississippi. So glad you’re home and I’m happy you’re sharing your normal with people. You’ll be able to help a lot of them. The trach looks so scary! I’m so glad that you’re able to be home with her and play with her. Being a new mom sounds so exhausting! Love all your photos 🙂 So glad you guys are finally home. I’m so happy that she is home with you, Stephanie! You are obviously the perfect mother for her and it’s so fun to watch how she is growing 🙂 Adorable photos! Addie is so beautiful! Thank you so much for sharing these precious moments with us!! She is so precious! Sounds like you guys have crazy busy days! Oh sweet little Addie! You’re getting so big so fast! It makes me so happy to see these photos of her at home!! !